Alex Browne with an impressive 30 league goals!! The final criteria around positive attitude, approach and the strong sense of Club ethic is deemed by the Capts, to be one of the most important consideration for them, given that over the course of a season, they have to make some very difficult decisions and often ask players to play in different teams, different positions or training in other groups etc etc. All those nominated (amongst many others) were considered by Capts to have an excellent club attitude especially when being asked to play in different teams, or to help the Club by playing in unfamiliar positions – this they have done without questioning or challenging and have just got on with playing a nd generally giving all they have for the good of the Club……. Jono Chaney Baxter, Angus Blazer, James King, Pedro Goss and Max Laming. Adult Club Player of the Season Nominations: Graham Muff, Jason Wolfe, Mike Banham and Tom McLean. 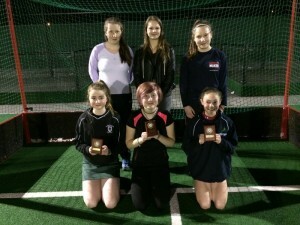 Ladies Club Young Player of the Season Nominations: Stella Windsor Waite, Carmel Windsor Waite, Lucy Morton, Catherine Matthews, Sophie James, Harriet Rant, Maddy Reynolds and Niamh Somers. 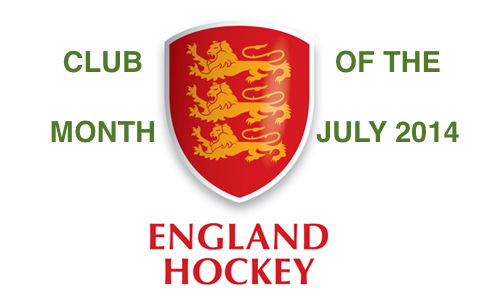 Ladies Club Adult Player of the Season Nominations: Hannah Ellis, Amy Forse, Lynne Price, Bridget Le Good, Emma North, Fiona Fletcher, Hannah Edwards and Olivia Thomas. Shortlisted Nominations by Club Members – Amy, Andrew, Angela, Jason, Mike, Rob, Shelly and Tom. The Darby Cup was donated to the Norwich Union Hockey Club in 1983 by John Darby (Men’s Club President 1974 – 1979) to be awarded each year to the person considered to have given great service to the Club. We re-introduced the Cup in 2013 to recognise the unsung hero at the Club for the season. Sadly John Darby passed away on 24th March aged 95, so those at the Awards Night gave a moments applause out of respect for John. John was Wartime hero, being honoured by the Russians for his heroics in WWII. John was later Chief Estates Manager at NU during this period he took on Presidency of the Men’s Club. This season Mike awarded the Cup to Mike Banham, his predecessor as President and in his 50th consecutive season for Norwich Union and Norwich Dragons. Mike remembers John as President of the Club when Mike served as Secretary between 1973 and 1977, so it is even more fitting that Mike Banham should receive the award this year. Winners again this season are the Development Boys A Team. George Bowman – massive improvement over the season. Going from mens 6s to 1s in a season is somewhat unprecedented, picking up Men’s 6s Player of the Season last year. Consistently looking to improve himself, and make himself available for any game. Plays in the dev teams to help them out. Rob Wagstaff – an enthusiastic coach with the ability to keep the training sessions fresh and interesting. Helps out teams when available and giving up his playing time to help out the 1st team as coach. 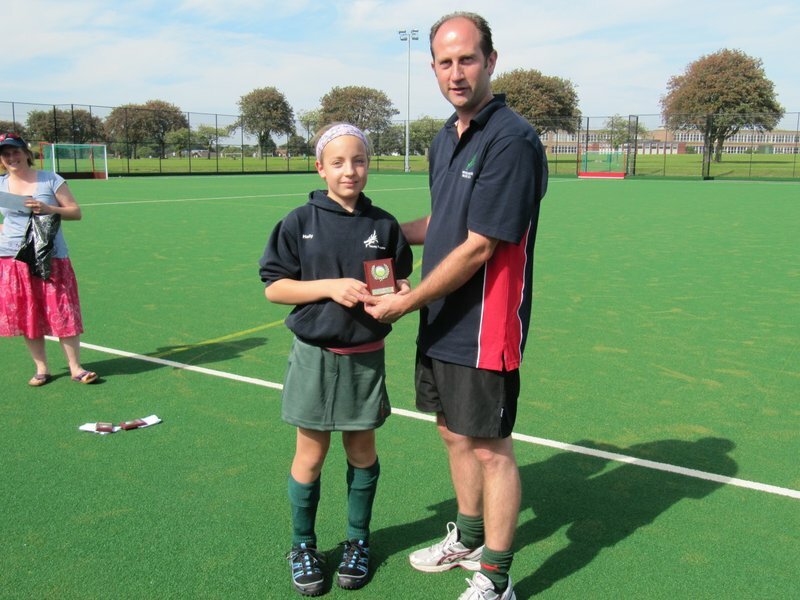 WINNER: Issy Wolfe: huge progression in hockey skills over last couple of years. Very committed player and regularly available. Excellent training attendance. Developed maturity in her hockey this last year to the point where she is a major influence on East Division 1 level matches. WINNER: Katy Cole: Has done exceptionally well in her first season as 8s captain. Always positive and encouraging to players. Works very hard. Always looking to improve. Amy, Andrew, Angela, Bridget, Graham, Hannah, Jason, Lisa, Mark, Mike, Natalie, Pete, Rob, Rowie and Tom. 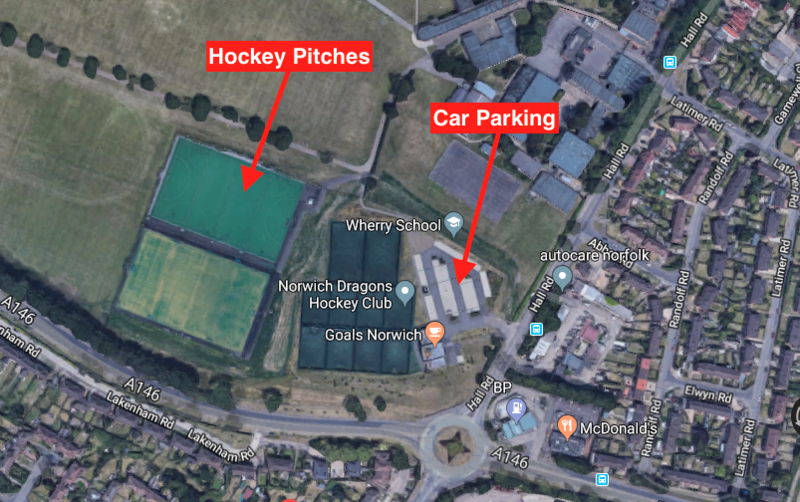 WINNER: The winner in a year where we see her step down from the Youth Development Officer role that has had a massive impact on youth hockey in Norfolk as well as Norwich Dragons is Natalie. The Darby Cup was donated to the Norwich Union Hockey Club in 1983 by John Darby (Club President 1974 – 1979) to be awarded each year to the person considered to have given great service to the Club. This year our outgoing Club Secretary, Sue Cullum, has been recognised for the major contribution she has made to Norfolk Hockey, Norwich Union Hockey Club and Norwich Dragons Hockey Club, as Club Secretary, Goalkeeper, Captain and Divisional Secretary, Sue will be greatly missed by many. The decision by another highly valued Club Member to step down from her involvement in hockey prompted Mike to introduce a Dragons Lifetime Achievement Award to Hazel Medler. Three seasons ago Hazel stopped playing but continued umpiring, however she has decided to now retire the whistle too! H played for Norwich Union for many years and then had a period of time with Norwich Vagabonds but eventually returned to Norwich Union HC, where she stayed. Extremely passionate about her hockey, so much so, that she earned a reputation among other clubs of making her feelings known of others’ play and umpires’ performance! She really didn’t change too much over the years! We suspect many of her opponents went into a game against H either in awe or fear before each match. During her hockey career she played and umpired at Norfolk and the East levels. There probably isn’t a role in hockey that H hasn’t performed, including being Chair of the East Hockey Management Committee and the Chair for Norfolk Hockey Association until she managed to oversee a review of governance and make herself and the roles redundant! In 2012 when Dragons achieved 9 wins out of 9 adult matches, the Ladies 3s Match Report says “Hazel Medler stepped up to the ‘D’ and converted the corner with a straight strike”. You knew what you would get from Hazel 100% commitment! Playing highlight had to be winning the Most Improved Player of the Season Award at Norwich Dragons in the 2010-11 season. East Masters in 2012, only representative from Norfolk in the over 50s team that finished runners up. 5 years working with Mike Banham and John Butler providing free coaching for local primary school, Hazel will be missed by all and received a standing ovation on receipt of this award. Winners this season are the Development Boys A Team. Young Dragons Awards can be seen here. 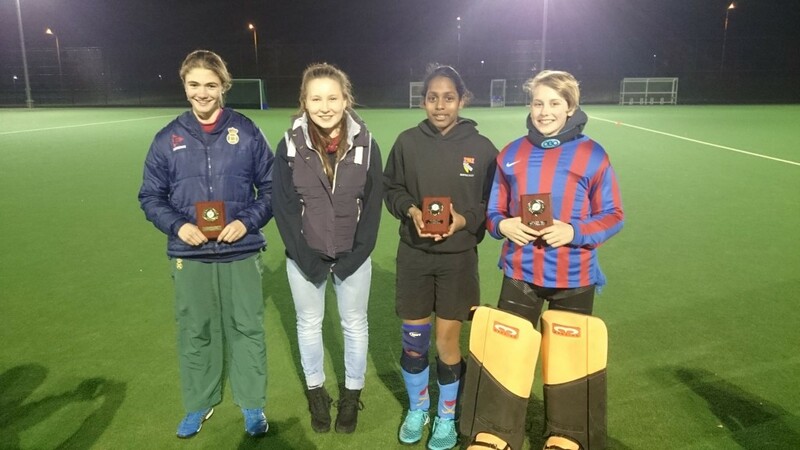 Ladies 1s Nominations shortlist: Lizzie Moulton, Rachel King, Louise Murray, Olivia Thomas. Ben Watson – keen to train, and has shown huge improvement throughout the season. Has shown maturity in front of goal, and is a constant threat to opposition. Has played as much as possible around school commitments & actively looks to see whether he can play. Another example of personal commitment & a mature head on young shoulders. It is fair to say on both Awards, the Ladies Capts were pretty unanimous in both their nominations and their final decision. Special mention to Kate McKenna who was shortlisted in both the Young and Adult awards for her fantastic attitude towards the Club and playing this season. – is exceptionally modest – has no expectations of grandeur……. – trains every week and been available almost every week……. even when injured! – just wants to play whenever she can for whichever team and in any position! – has played in multiple positions forward, midfield, defence and……to help the club and to stay involved even when injured…..took up GK position for a number of games, attending GK training and improving considerably in this role too. First season as Club Captain, Men’s coaching supporting Rob, Goalkeeper Lead Coach running monthly specialist skills sessions for keepers, stepping in to play when the club needed him (in goal for 1s but mainly outfield for 6s), inspiring youngsters and setting example of commitment to play long late away games, providing chauffeur service to several youngsters getting them from school to club fixtures. Mike re-introduced the Cup in 2013 to recognise the unsung hero at the Club for the season. 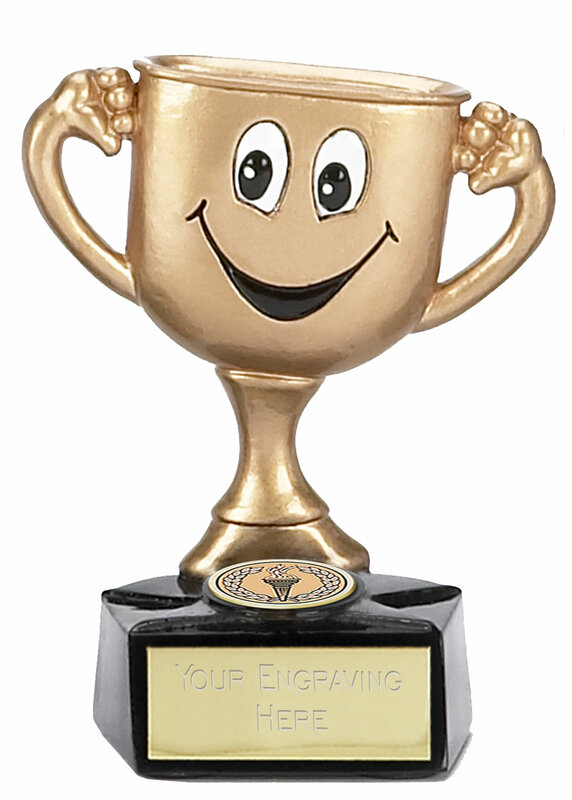 The joint award goes to a club member that continues to coach in rain or shine, he inspires and contributes to the club and has done so for a number of years. 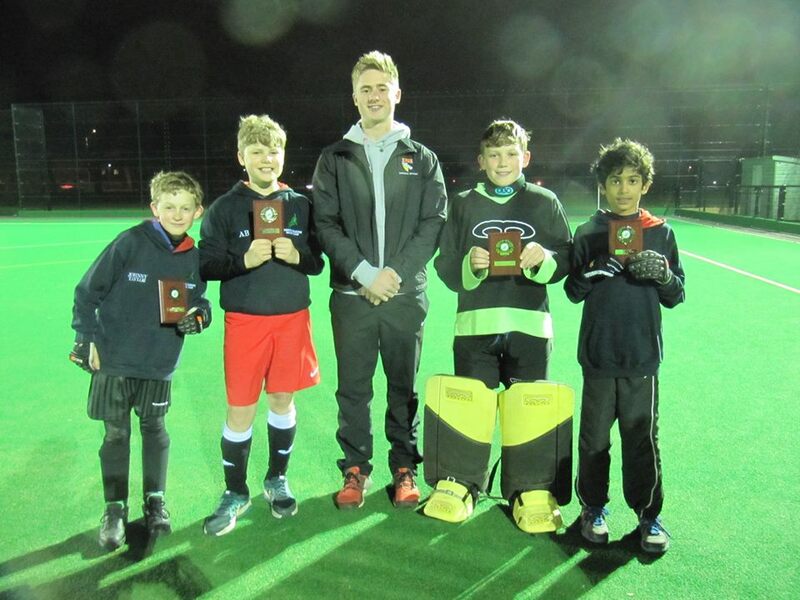 Played for every team in the club this season and also achieved the tough accreditation of England Hockey Level 3 coach, Rob Wagstaff is this season’s joint Darby Cup winner. Player of the Season: We have had 33 votes and have had 16 girls receive votes showing what a strong standard there is across the group. Nominations: Stella Windsor Waite, Zarina Duffield, Francesca Sabberton and many others received one vote. Nominations: Esme Potter, Harriet Marlee, Esme McKinnon-Evan, Lilly Sore, Harriet Gale, Maisie D, Ellie H, Sophia H, Ella K and Olivia S.
Done the best any Dragons dev boys’ team have done! Won the league with a game to spare! All have done their bit. When the boys pass the ball, they are unstoppable. Great bunch of boys who deserve their league win! Has become a solid defender who supports attacking play. An important member of the team. Voted for by the boys. Someone who is a real asset to the club. Very close between Huck, Angus Reid Edwards, Angus Blazer, Jose and Harry Brown. Both A and B teams have won most of their games and most of their tournaments! A team are County Champions and have their regional competition on 17 April at Harleston. Thanks to Andrew Cross for his hard work as u10 boys manager. 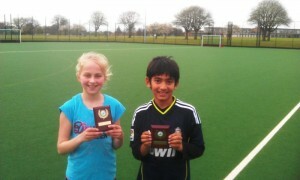 Thanks to Angela Murgatroyd for her hard work as u10 boys lead coach. Thanks to all the adults and old and young helpers for their efforts! Of the 31 votes cast at training…..20 different people were voted for….. Main nominations: Monty Patel, Edward Cross, Sam Reynolds, Will Panter. Most improved nominations: Sam Kassulke, Rahul Kaushal, Finn Pond. Managed to put out three teams in the majority of tournaments. A team have won most tournaments and most games! 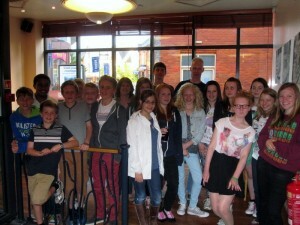 B team took part in the A team tournament and were brilliant! C team are coming along ever so well! A team are county champions and have their regional competition on April 16 at Harleston. Some u12 boys have played Development League games on a Saturday for some or all of the season. James Cross, William Bowman, Isaac Diver Hall, Arjuna and Johnny Taylor. They have played an important part in the team who won their league last Saturday, with one game to go! Thanks to Tracy Stuart Sheperd for her hard work as u12 boys manager. Thanks to all the adults and old and young helpers for their efforts! Nominations: Johnny Taylor, James Cross, Rhaul and Alex Brooks. – Going the extra mile to support those who need extra help and responding to these needs. 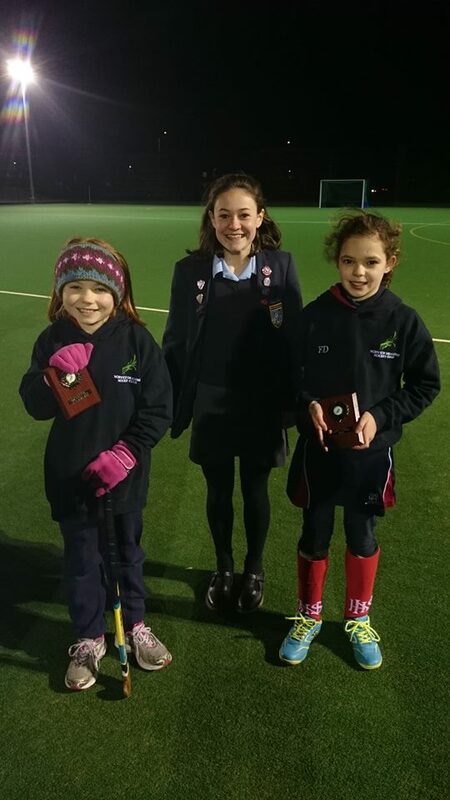 Aoife Lowe-Davies – for u10/12/Dev girls supporting nearly every week. She has been a good support, can lead groups and doesn’t mind getting stuck in. 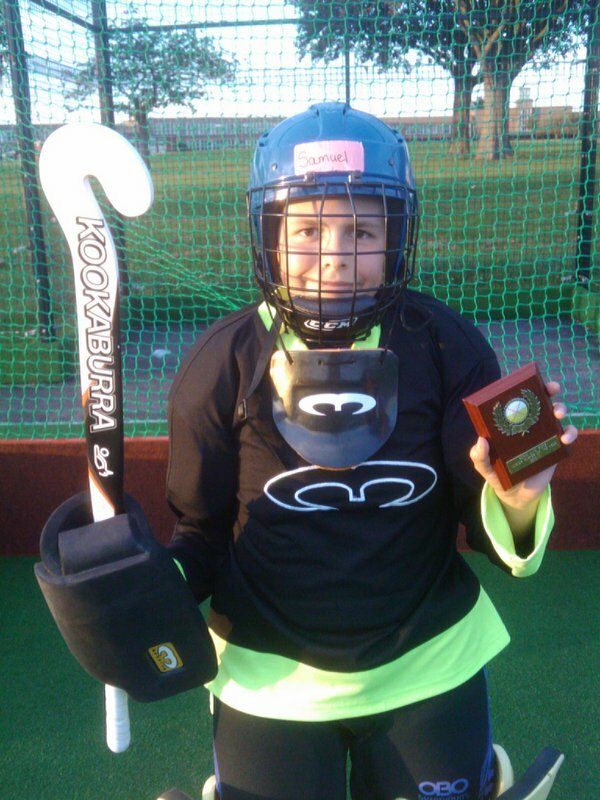 Anja Finegan – for u10/u12 girls for the way she works with the girls and helping with coaching the GK. Also her assistance with the Christmas assessments and her patience at having to be the toilet run person for the girls! Ben Nkrumah– for u10/u12 boys being a consistent GK coach working primarily independently and for umpiring at our Dragons tournament. Jessica Tye-Leech – for u8s support (both on a playing & an admin front), helping at tournaments & umpiring a range of young dragons games. Tommy Chapman – for regular u8 support & some u10/12 supporting. Winner: Jessica Tye-Leech receiving 3 commendations from 3 different coaches for aspects of her work with the youngsters. She helps out nearly every Sunday morning with the u8s, where she leads groups, warm ups, takes money and is great with the kids. She also helps with umpiring the young Dragons teams at tournaments (even through hail showers!) as well as umpiring some Dev games. 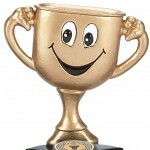 She is always cheerful and ready & willing to help whenever she can and is a deserved winner for a second year running. Tommy Chapman came a close 2nd with 2 votes from different age group coaches for his regular support & patience with the u8s and his work with u10/12s. 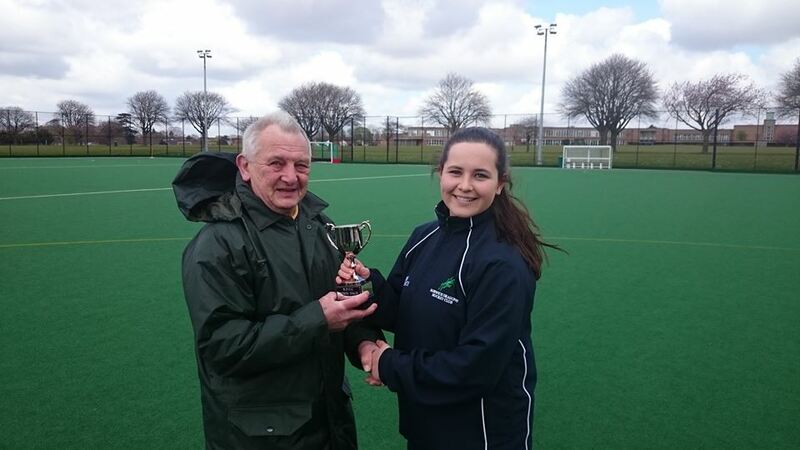 It was great to see Derek awarding the trophy to Jess this season…..
Voted for by those players that played most regularly for that team. Voted for by all Club Members. Our current President decides who the should be awarded the Cup. This season for all her hard work with Youth Section, the award goes to Natalie. Winners of the Dragon’s Hoof with 100% of wins this season and 15 cleansheets are the Ladies 2s. 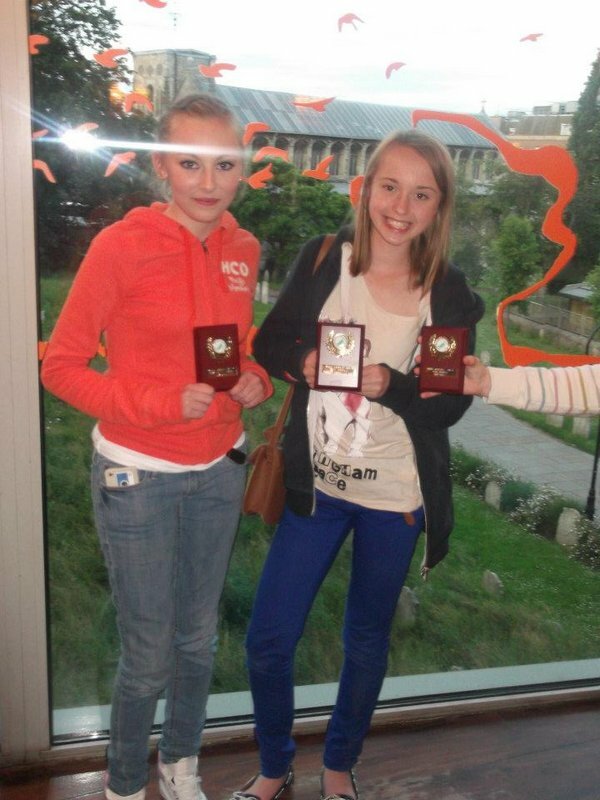 Karen O’Neill-Simpson and Hannah Ellis were delighted to collect the Award! A special award was handed out this season. It was for the u18 who gives a lot back to the club. The award is called the Derek Dack award, named after a Norwich City club member who donated some money to the club to reflect the good work with young people. The award committee was made up of adult representatives from each of the junior sessions, coordinated by Sarah Wagstaff. 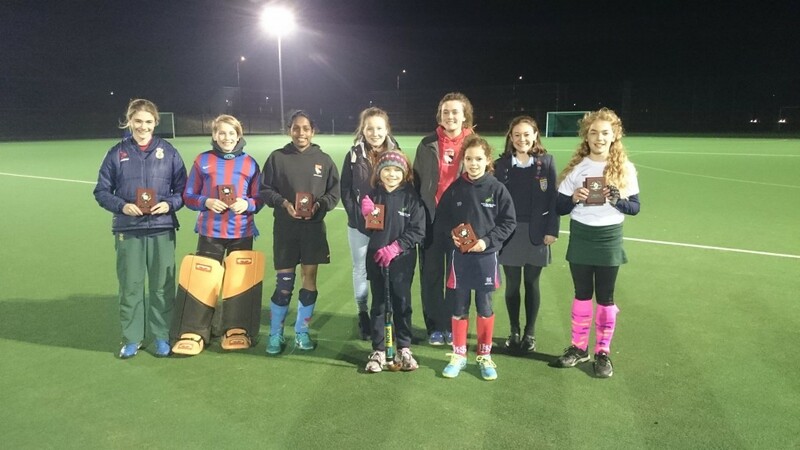 The nominations were from across all of the age group training sessions and are: Katie Buxton, Niamh Lowe-Davies, Sophie Thomas, Mark Savill and Jessica Tye-Leech. Not only does Jess take responsibility for registration and money collection, she also engages with both parents and children really well, her enthusiasm and pragmatic positivity strikes just the right note. When assisting with coaching she helps correct technique, knows when to tell children to ‘get on with it’ or when extra support is needed and is confident leading small groups exercises. Within the coaching team Jess plays an active part providing feedback on both the children and the session. In summary – Jess is very proactive, ‘she just gets on and does things’, she is a key member in all aspects of the U8 team as well and being an engaged and committed member of the club as a whole – a role model to the youngsters and a great ambassador for the club! 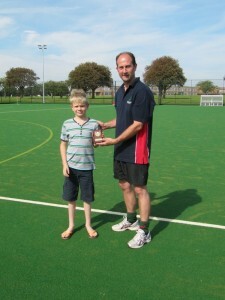 Ben broke into the U10 A team last season and spent most of his time playing centre forward. This season Ben has moved across to wide right and made the position his own. Through a use of sklll, power and pace Ben is developing into a very good hockey players. 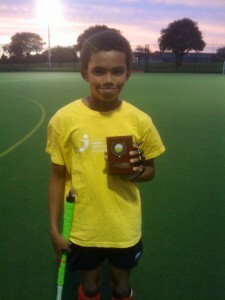 Ben has improved all elements of his game and become an important member of a successful team. Gus has continued to impress the coaches this season. His confidence and maturity have been noticed at training and in matches. Gus has much more control on the ball and will always try new skills to improve even further than needed. His knowledge of the game continue to improve, from reading when to make a tackle, to making a run to receive the ball. What the coaches will be guaranteed, is Gus will always turn up with a smiley face every week no matter the weather! Always listens and tried her hardest has come on so much especially in passing and receiving the ball. Has developed a good set of core skills and a great hit with power and accuracy which is a hard skill for girls of this age to learn. For good improvement in ball skills and general gameplay and making the step up to Development Girls so successfully. Emily Roper. Starting as a beginner, Emily has worked really hard on all her skills and is now able to compete for a places in matches. Her defensive work is particularly strong, and she is a brave tackler. Lilly Sore. Has transformed her game. Starting as an unconfident player at the beginning of the season, Lily is now first on the teamsheet when a left forward is needed. She is famous for her tricky reverse stick skills. Mia Mcghee. Mia has made steady progress throughout the season. She started as a defender. But suddenly, she discovered a turn of ball carrying speed and can whizz down the right channel and then cross the ball hard and flat. In the game against Yarmouth, she started on the defending baseline and beat five players on her way to the goal. She is also an enthusiastic and versatile player – she will play anywhere. The winner is Mia Mcghee. Winner: Sol Blazer He lacked confidence at the beginning of the season but he now has much more confidence and his skills have also improved considerably. He is keen to listen to advice and ensures he takes it onboard. He has become a solid defender and the ball rarely gets passed him. Last season the Cup was re-introduced to strengthen our link to our history and our current President decides who the unsung hero of the Club has been, that should be awarded the Cup. This season for all his work with Men’s Selection, Boys Development and Young Dragons as well as umpiring and orgaising teams for adhoc events, the award goes to Ali. 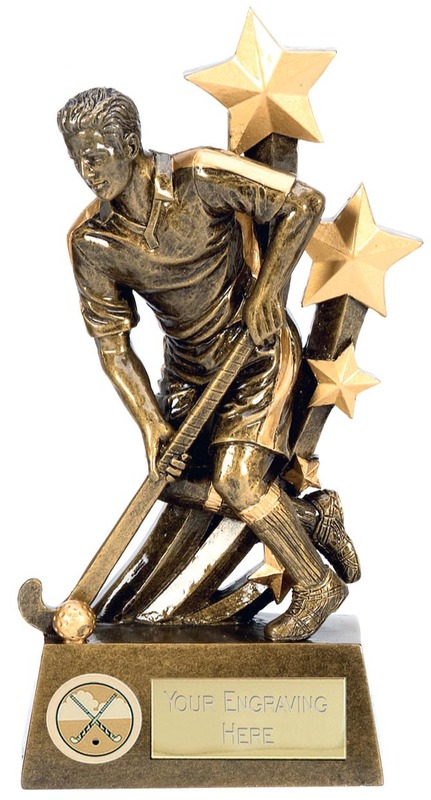 This season’s top league goalscorers were Will Kirby and Andrew Cross, an independent adjudicator reviewed the stats and found that Andrew had played fewer games for his goals, so this season’s Men’s Golden Stick was awarded to Andrew Cross. 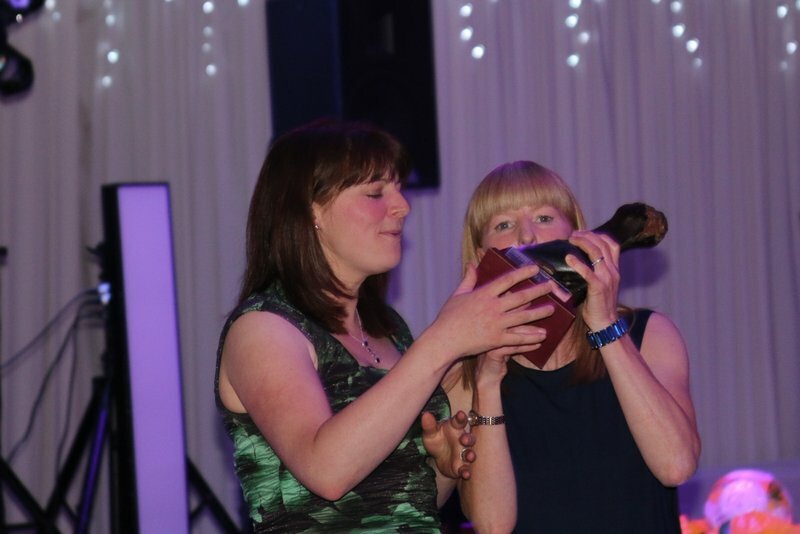 Winners of the Dragon’s Hoof was a close run competition for most of the season, however a strong promotion winning performance from the Ladies 1s saw them take this season’s award. A special mention was also made to the non-playing umpires that help us out through the season, John, Sue, Roy and Sheila. Claire Baker received a mention for her injury forced retirement from the Club after 25 seasons and several goals! Also many thanks to the years of service to the Club and County from Hazel Medler, who has put away her stick this season, however we are very grateful that she will continue to help umpire for the Club and keep involved in the schools coaching. 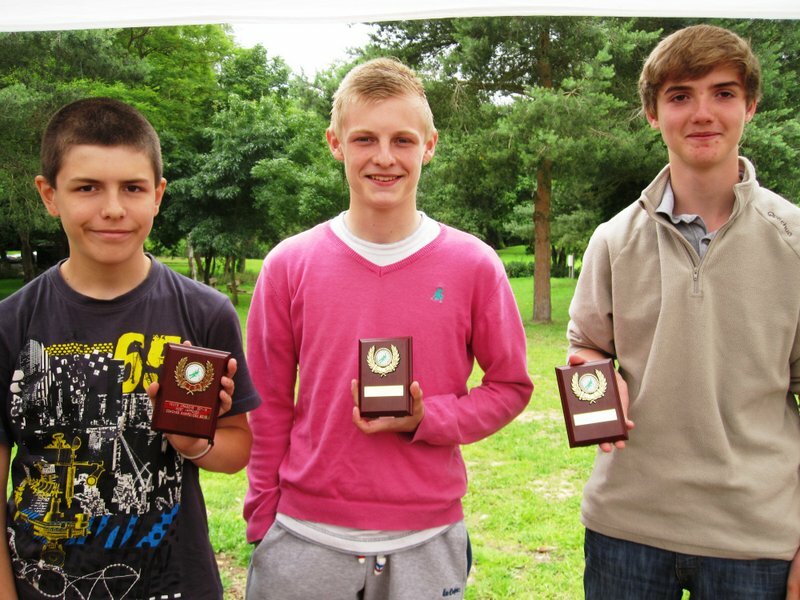 Under 12 Boys Most Improved – voted by the coaches. Ali says ‘McCartney impressed the coaches with his work ethic and willingness to take on feedback and apply it to develop his skills and understanding of the game. McCartney has improved considerably through the season, really adapting to the full sized pitch and becoming comfortable in any position in the defensive line. Improvements in his tackling and marking have contributed to this development’. 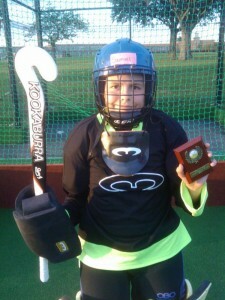 Rachel Bruce, for improving all her core skills and developing her understanding of roles in midfield and in defence. 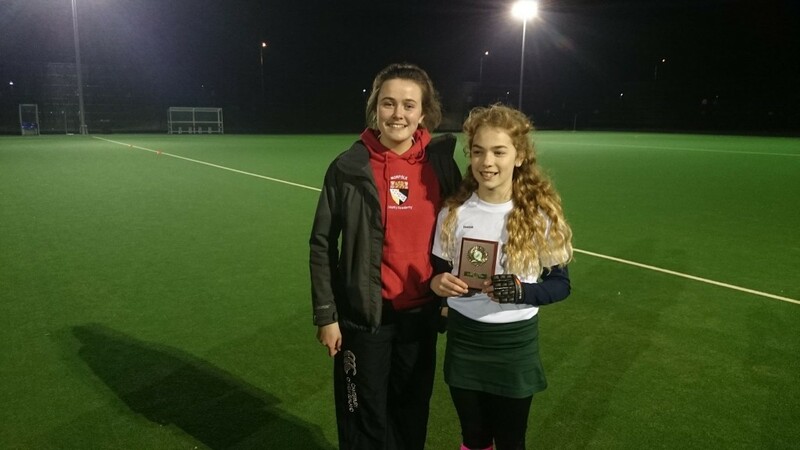 Issy Wolfe for her competitive spirit and stick skills – and for learning to channel her individual ability for the benefit of the team. Isobel Keane for taking on the responsibilities of centre back, learning to marshall her defence, and for developing a powerful block tackle and a strong sweep. Lara Tayler, who was moved into the development squad for the second half of the season and made an instant impact. She improved her ball carrying speed, passing accuracy, and understanding of the midfield role. Carmel Windsor-Waite who improved with every game. A tenacious player, she learned to time her tackles to perfection and never gave up. She learned how to take responsibility for directing the game from the bottom of the diamond, whether in defence or setting up attacks. The Darby Cup was donated to the Norwich Union Hockey Club in 1983 by John Darby (Club President 1974 – 1979) to be awarded each year to the person considered to have given great service to the Club. The Cup was last awarded in 2008 to Jon Goodson. This season the Cup has been re-introduced to strengthen our link to our history and our current President awarded the Cup to Andrew. Andrew, as Fixture Secretary, works tirelessly every season to ensure our matches are set up, opposition are aware, umpires and captains. This season, more than any in recent memory, has seen Andrew’s workload double as fixture after fixture has had to be rearranged due to the weather. Thanks to Andrew all our fixtures were re-scheduled within the deadlines set by the Leagues. Andrew this season’s unsung hero! Winners of the inaugural Dragon’s Hoof was a close run competition with the Ladies 3s just pipping the Ladies 4s at the post (by a hoof). The winner is Molly as she has come on so strongly that when she had to help the Girls Under 12 team at Pelicans she didn’t look out of her depth despite playing against Girls 2 years older than herself and kept 2 clean sheets. Her keeping for the Under 10 girls has also helped make that team become a very difficult team to score against and get results against. Nominees: Jemima Watson, Lucy Buxton, Molly Finegan, Maddy Reynolds, Harriet Marlee, Tilly Connors Beckett, Scarlett Udy and Stella W W.
Over the course of the season, Angus was come far. He is now a more agile goalkeeper with improved positioning. He is always cheerful and always tries his best. Esme has really started to listen and absorb, and consequently her skills have improved no end. She is becoming an excellent defender. Ollie’s ball skills have taken significant steps forward this season. He has become a “ hockey player”. He has shown great tenacity and determination to use all the skills he has. He never lets anyone get away with the ball without chasing and hassling them. He is very quick and uses that speed to advantage. He has also become a player that likes to go forward and with the speed he can generate he creates lots of opportunities at the front, but he has also worked hard on his defensive skills and his versatility has been an asset to his team mates. Nominees: Laura Hansell, Anja Finegan, Aoife Lowe Davies, Flo Pond, Katie Franks, Harriet Williams, Lotte Korn. Flo has improved from someone who was very upright & at times uncomfortable on the ball, to someone who now appears to want the ball, get involved and actually looks to take people on. She works hard in training has developed into being a confident, strong player in the team able to influence a game and happy to help others get involved. She showed great leadership when captain. A very polite girl always willing to learn. 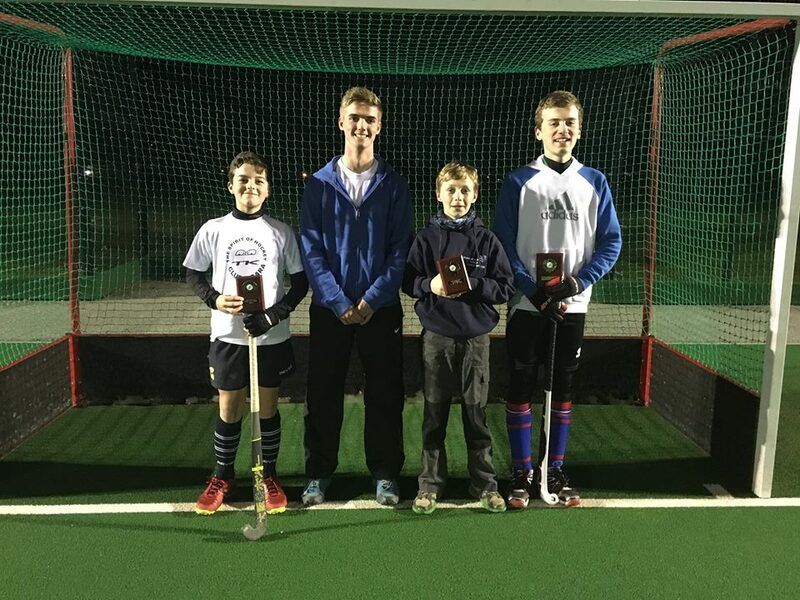 Nominees: Hamish, Ben N, Jonty Gosling and Ben W.
Jonty Gosling – his skills and game playing ability have come on so much. He always attends training and works hard on learning and applying new skills. From dev boy at the start of the season, he has made his way to the men’s third team towards the end of the season. 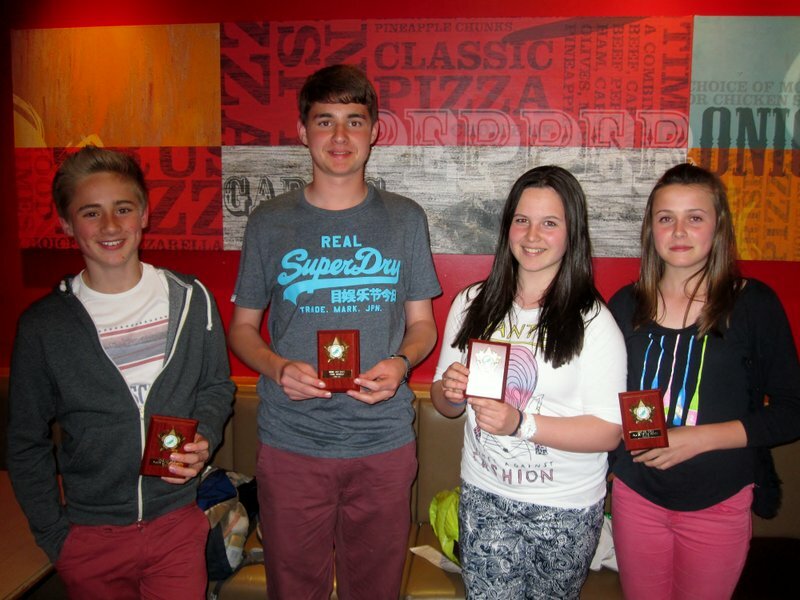 Club Person of the Year: Nominations: Amelia, Hannah, Mike, Bridget, Angela, David Pentin, Rupert, Rob and Nat. Great to see such a long list of nominations for Club Person of the Year, shows that many Club Members are volunteering and putting effort into the Club. After a great first season at our new homes, the players and the coaches have voted for their players of the season. Well done to those nominated and congratulations to the winners. 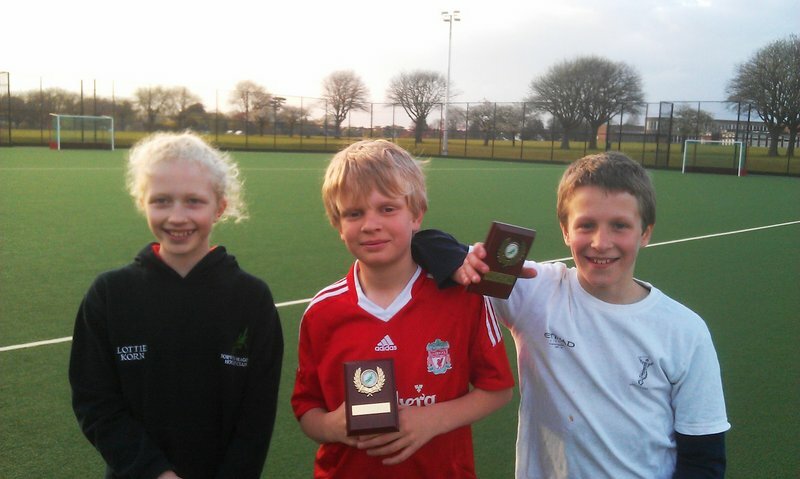 Here are the nominations and winners of the under 10 and under 12 age groups…. Player of the season 2011-12 – voted for by the players. A great little defender who is very solid and ever present at training and tournaments. Most Improved 2011-12 – voted for by the coaches. She has grown in skill and confidence. She is now able to play a strong game herself and to also direct others. In her play she is almost unrecognisable from the same player at the start of the season. James is always smiling and always at training. He has come on very well this year. For someone who started off messing around, but now when playing against U12s he is looking up and passing the ball with good ball speed. Coaches have commented he looks ready to fill the ‘big shoes’ being left by some of the players moving up to the Dev league next year. Jodi some excellent play in tournaments with her runs up the pitch and passes to others to shoot. Raunaq’s skills are amazing. He is also hard working and he tires to involve others in games. Kallan Hagarty A very cool customer. Always turns up for training. Always works hard on the pitch. Sam Harvey For his transformation from an outfield player last season to a strong goalkeeper this. Jonty Gosling who started from a modest beginning and is now a very strong and more than competent player for his age. Henry Laming who has some awesome skills. Lotte Stalker She is always kind, and helpful. She is always smiling, so I think her personality has a very positive effect on the team in both matches and training. Holly Thomson She puts in lots of effort into every game, and has won back possession of the ball on numerous occasions every week with great tackles. Sophie Farrow works well with the team both getting into the action but also giving instructions and communicating with others on and off the pitch. Because, although she is quiet she is she’s an immense player who has also scored several goals this season.